The wife of Linkin Park's frontman, Chester Bennington, has finally opened up about singer's death by issuing an emotional statement to fans. Talinda Bennington, who was married to the star for 11 years, said that she had lost her soulmate and her three children their "hero". The statement read, "One week ago, I lost my soulmate and my children lost their hero - their daddy. We had a fairytale life and now it has turned into some sick Shakespearean tragedy. How do I move on? How do I pick up my shattered soul?" Continuing, "The only answer I know is to raise our babies with every ounce of love I have left. I want to let my community and the fans worldwide know that we feel your love. We feel your loss as well." Talinda also shared that his husband is now "pain free singing his songs in all of our hearts." Adding, "May God Bless us all and help us turn to one another when we are in pain. Chester would've wanted us to do so. Rest In Peace, my love." Bennington, who was 41, was found dead at 9 am on Thursday morning. The coroner has confirmed the cause of death and said it was being treated as a suspected suicide. The singer was the lead vocalist of Linkin Park since 1999 and was about to join the band on a US tour to promote their new album, ' One More Light,' which released in May. 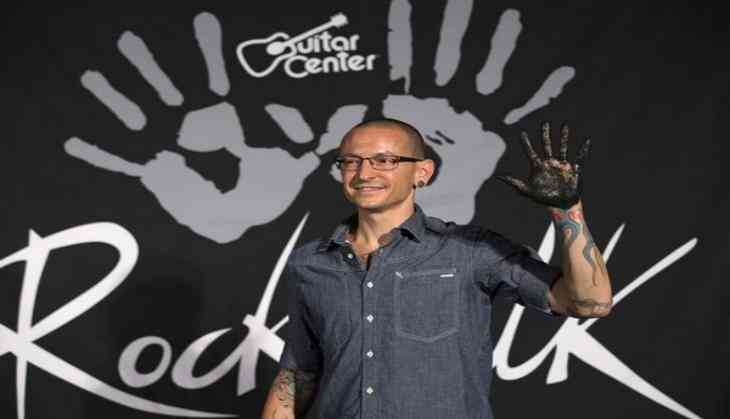 Following his death, Bennington's Linkin Park band mates created a suicide prevention website where fans can leave their own tributes as well as seek advice should they need it.